So you’ve decided to buy a new home. Aww yeah! The decision to purchase a home is a big one, and unlike any other. Chances are you’re feeling a variety of emotions right now – excitement, anxiousness, and maybe a little stress. If you’ve never purchased a home before, you might be wondering how you’re going to make it through the entire process. Fortunately, there are several things you can do to simplify the home-buying process and have an incredible experience. So, relax and listen up. Here’s what you need to know. The first step in shopping for a home is talking with your lender of choice. In the real estate world, there are two important terms you’ll hear thrown around a lot: pre-qualified and pre-approved. When you’re ready to talk with a lender about getting a mortgage, pre-qualification is the first step. You’ll provide a basic summary of your financial status, including any debts or assets you have. The lender will give you a ballpark figure of what you can expect when you apply for a loan. Pre-approval, on the other hand, is a much more in-depth process and involves actually filling out paperwork and applying for your loan. This is when you’ll receive the specific dollar amount you’ve been approved for. Ready to find the house of your dreams? A knowledgeable agent can take you a long way. Your agent knows the ins and outs of your area and can help guide you as you search for your dream home. Choose an agent who knows the market and who has excellent negotiation skills. GO Realty agents are equipped with the market knowledge and negotiating prowess to get you to the closing table. Don’t waste time making an exaggerated offer and hope the other party will counteroffer. Instead, make your first offer strong and realistic. Let the sellers know you’re serious about buying this home. Consider crafting a personal cover letter when you make your offer. Let the sellers know what you love about the house. Be as specific as possible. Remember – this was their dream house once, too! Sharing what you love about the house you’re buying will likely bring up some wonderful memories for them and make them feel more receptive to your offer. Don’t be afraid to ask questions. Talk with the listing agent about the seller’s goals. Chances are you’ll learn valuable information that can help you better understand the property and the listing price. Remember: sellers are people, too! They’re just as invested in this sale as you are, so make sure you focus on trying to find common ground and shared goals throughout this process. Buying a home is a memorable experience you’ll never forget. 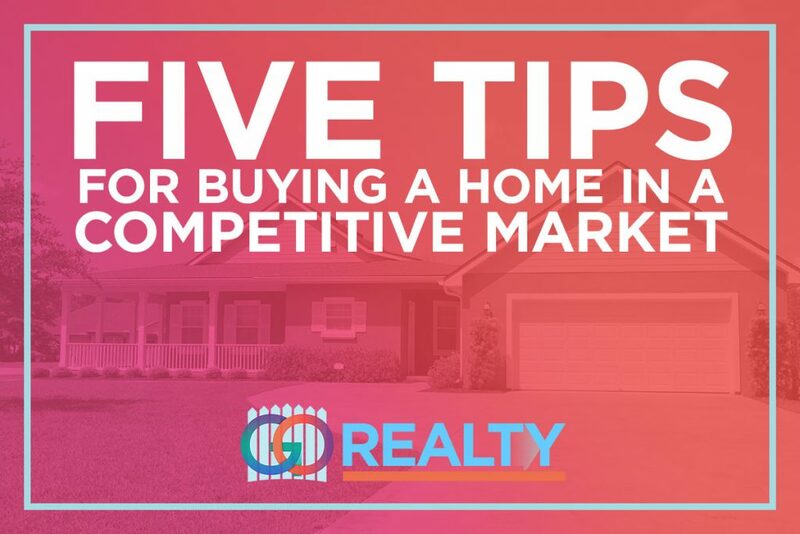 With these tips and tricks, you can make sure that your home-buying experience is a positive one. Ready to get started? Talk to a GO Realty agent today!